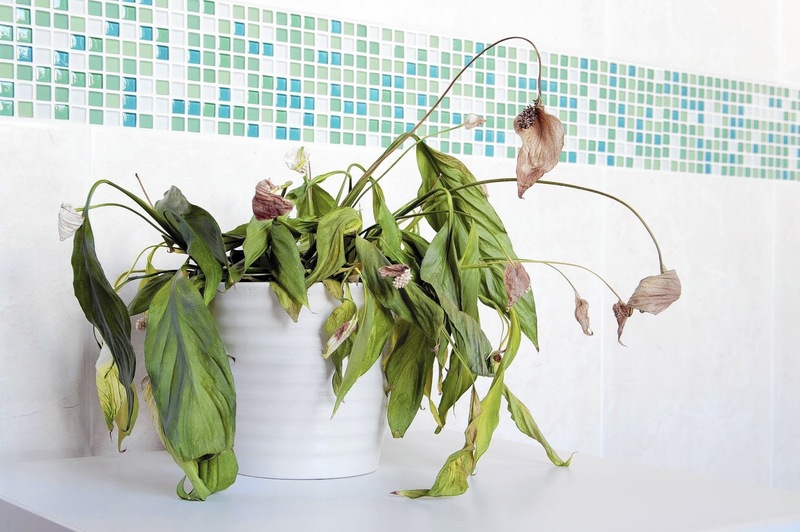 The sad houseplant looked like how I felt. Forgotten, parched, brittle and malnourished. 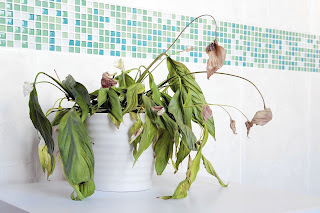 I had been so busy these last few weeks with all the responsibilities of keeping a family fed, clothed, and content, that I’d neglected that plant. I rushed it to the sink like a heart attack victim to the ER. Refreshing water flowed, but the soil was so hard and dry that the life-giving liquid just ran off into the sink. No matter how heavy the flow or how long the water ran, it just poured off the surface, wasted and unappreciated. I finally placed the weary plant in a pan of water to soak and hoped that the leaves would rise, the color would return, and the plant would be vibrant again. The Holy Spirit whispered in my ear. Jill, your spirit is like that plant. You’ve neglected it in all your busy-ness. You haven’t quenched it with the Living Water. You haven’t nourished it with the Bread of Life. And now you are dry and brittle and parched. A quick sip, a mere drop, will not quench the thirst of your soul. Like this plant needs a good soaking, you need a thorough drenching of the Word of God to refresh and renew and bring vibrancy to your life again. As I set the forlorn plant in a pan of water to soak, I set myself before the Lord for a long drenching in His Word and of His Spirit. The plant was rejuvenated. And so was I.
Jesus said: “Whoever drinks the water I give them will never thirst. Indeed, the water I give them will become in them a spring of water welling up to eternal life” (John 4:14). Lord, may I be satisfied with you alone.